The connected car wizzes at Vinli are bringing their data-mining dongle to the Middle East, the company announced at the 2016 Mobile World Congress. Making use of a 4G LTE connection, and providing WiFi to travelers as a consequence, the Vinli offers streaming entertainment as well as a trove of useful routefinding, fuel-saving and car safety data to drivers. Owners can select their own choice of apps from a Vinli App Catalog while the system is capable of detecting accidents and maintenance milestones, issuing alerts or reminders as appropriate. Saudi Telecom Company and insurers VIVA Bahrain are supporting the Middle Eastern venture, after Vinli first launched in the US, with the Dallas-born tech co citing growing car usage, vehicle sales, and a rising regional GDP as reasons for its expansion. 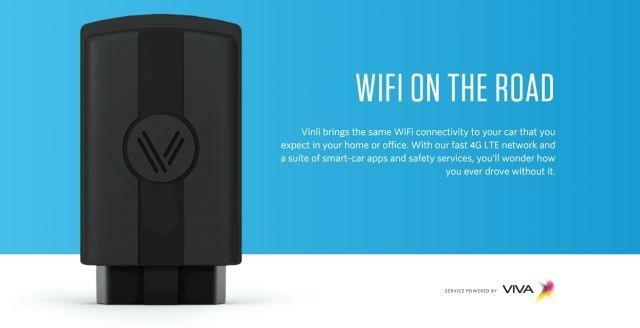 Vinli launched in September 2014, after fellow US connected car business Automatic Labs produced its own Automatic dongle in 2012; Samsung, which was a mid-2015 Vinli investor, brought its own Samsung Connected Auto dongle to the 2016 MWC.